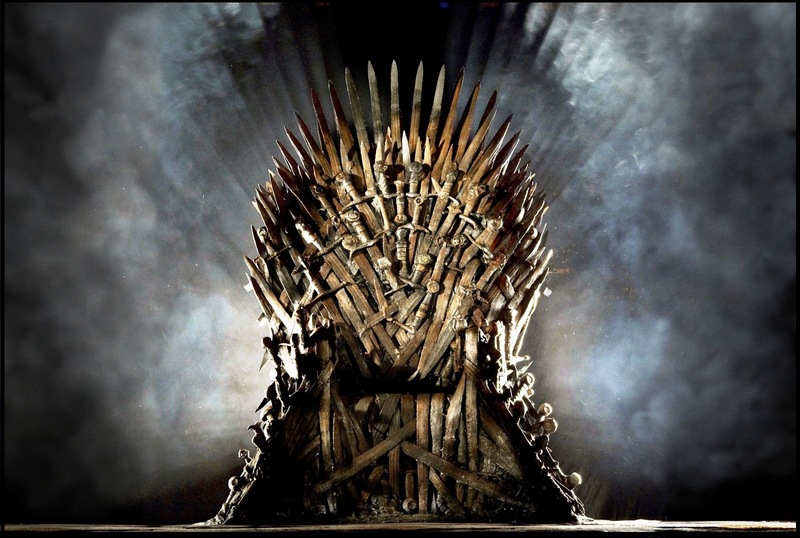 In an extremely welcome move, Jeremy Hunt has resigned, and in an open free-for-all, juniordoctorblog put down all-comers and sat on the Iron Throne of the Health Service to become the new health secretary. Well, rather than squander this opportunity on a parade of hospital touring photo ops, I think I might fix the health service. I know, i know : I have to stick to the manifesto, to deliver a 7-day health service, blah blah blah. And my budget is £115 billion  plus supposedly £10 billion up to 2020. My first act is to immediately cease all trust payments to PFI companies – pending further legal action, review of spending and renegotiation, and cancel or restructure all pipeline PF2 deals. This will immediately be legally challenged, which will cost millions. However, in the interim, individual trusts will each save up to £2 million A WEEK . Winter is sorted. After 6 months of negotiation I will nationalise the PFI debt, from the projected £80 billion for £10 billion pounds of services. If I can restructure this debt to payments even a 1/3 less than this I have just saved the NHS £25 billion- money that would continue to come back over the next twenty years. No money spent so far. Budget now £115 billion, plus £35 billion up to 2020. I have just funded the NHS for the next five years. Meanwhile I will end the internal market. All non-NHS contractors will be brought in house over the next five years, paid at value or less, and the administration for tendering contracts and fighting legal challenges will be scaled back and eventually cut. I will recruit experts in this field, to help dismantle and replace this system. The NHS just saved a conservative £5 billion  a year from 2020 onwards – safely funded from 2020-2030. Budget now £115 billion, plus £35 billion up to 2020, then a further £5 billion year-on-year, plus inflation. Ending the internal market also brings back high revenue work such as elective knee and hip operations. I would support the NHS reinstatement Bill  and push it through parliament. I haven’t spent any money yet. We now have 15 years, of a properly funded health service. Time to invest the surplus. Firstly: I would triple the public health budget, from £2.9 billion to £7.9 billion, create the Department of Preventative Health, and fund and recruit it to the hilt. It’s independent remit – to improve the general health of the country, via local authorities and nationally. I run a loose ship- so it will have a fairly free reign, but it must demonstrate evidence-based improvement before widespread roll out of any intervention. With 15 years and a decent budget, I expect good things. Funding recreational facilities, in-school sports and exercise facilities, public gyms and outdoor spaces, subsidising fresh fruit and vegetables, and even trialling taxes on ill-health foods would all be tried. If it didn’t work, it goes in the bin. Cost: an extra £5 billion and 10 years investment. Potential savings are huge- if you estimate disease costs caused by avoidable risk factors and aimed to reduce these by just 10%- you could save from smoking £200 million a year, from obesity £200 million a year, from hypertension £200 million a year, and £1 billion a year from diabetes. Total savings; £1.6 billion/year, but a long way down the line. Eventually pays for itself. Next I would push to integrate the NHS and social care budgets, and then make it my remit as health secretary to double the adult social care budget from £13.9 billion  to £23.9 billion with NHS money. I would establish in-house community care – carers would be employed by the NHS and rotate between at home care work and nursing homes. Home carers would be NHS-trained and qualified. Alongside this I would provide on-call medical cover- carers would be training to an HCA level to look out for early illness and those who are sickest would have access to a visiting GP. Again, all programmes would be piloted scientifically to demonstrate benefit. Care of the elderly MDTs would be specifically funded, based in the community, to review and prevent illness in the over 75’s- as long as the evidence  continues to show cost-effective benefit. Limits of treatment discussion would be a standard quality indicator for the programme. So far- I have spent an additional £15 billion of £35 billion by 2020. I would spend a further £10 billion over fiver years on long-term recruitment and incentivisation for permanent nursing staff, based on recommendations from Royal College of Nursing. I would spend a further £5 billion on the same recruitment and retention for doctors, to increase doctors/head to at least the OECD average 3.2/1000 and £2.5 billion on supporting professionals- radiographers, pharmacists, physiotherapists, occupational therapists. Yes, all clinical staff would see pay rises. So- fixed staff morale and numbers, fixed public health and social care, saved billions in prevented falls and disease- and still an extra £2.5 billion leftover. At this point a seven-day routine care model might naturally materialise with proper staff and resources- it would need proper trialling for uptake however, and if it didn’t work, it would be scrapped. Now to get bold. I would scrap both monitor and the CQC- saving millions. In 2017 I would launch a £2 billion initiative, to place and recruit medical MDT teams trained and tasked solely with the responsibility for quality improvement into every hospital and trust. Any intervention has to show patient benefit and be cost-effective. The team is independent from the hospital and responsible for collating all DATIX reports and never events and organising and implementing the root cause analysis and the changes. They would organise hospital Mortality and morbidity meetings, support QIP projects with funds and support services and have a duty to report and improve unsafe practice.They are answerable directly to the Department of Health, and have power over every aspect of hospital management and budget as needed to protect patient safety. All patient data is placed into an anonymised, opt-out, national database of outcomes, freely accessible for health research to any of my departments. With such large numbers, new data and initiatives can be evidenced properly before formal studies begin. Whew. Now it’s 2020 and the NHS looks pretty healthy to me. Not a penny of extra money overall has been taken from the treasury. If I’m still in office I would now expect individual hospitals to be reporting, via their internal quality monitors, what they need. I would put aside a further £2 billion fund to trial any major improvement. This would be rolled out everywhere if it was successful. At this point I will begin the drive to increase funding for the health service to equivalent OECD levels, by at least 1-2% more GDP spending. I would demonstrate the economic benefits of having a properly funded and preventative health system, hopefully increasing the budget by a further £20-30 billion. And then, after 15 years as the greatest health secretary since Bevan, I would change the law so to limit the powers of the Health Secretary, appoint several heads of the NHS outside of political influence and mandated to spend based on evidence and cost/effectiveness alone, and transparent public spending of money. The law would also mandate that budgets for trialled initiatives are ring-fenced outside of political interference for a defined time period- this is to stop wasting money by cutting funding before projects have a chance to show benefit. I would be open to any evidence-based argument to implement any policy that showed patient benefit and was cost-effective. As I said, I run a loose, evidence-based ship. And then I would retire, having set up the NHS to remain one of our greatest national achievements for the century to come. Oh? He’s not actually resigned? Can we do this anyway? Why stop there? Why not disband all Trusts and the entire DoH? Hospital executives stop having to answer to external people with no understanding of the unique nature of each individual hospital. Instead they can focus on improving their institution. A massively improved PALS system will have to be implemented to counteract the lack of oversight for doctors, managers et al – I suggest mandatory attendance by the chief exec and heads of departments. This new PALS would have significant power to investigate complaints. The benefit: hospitals run by local, approachable people who know what an area wants. All pre-established connections with other hospitals continue. As hospitals are no longer Trusts they can seek to change these connections if required. By employing the senior management to run the hospital, rather than to answer to Whitehall and, oh yeah, run the hospital, I foresee dramatic improvements in most hospitals with a huge saving to the taxpayer in avoiding the costs of a central bureaucracy. The concern: in time hospitals would risk becoming parochial and over stretching + failing to give back budgetary excesses. At that time we would require the re-establishment of the DoH, but at a vastly reduced, more efficient size. Their job would be to analyse hospitals independently and make sure funds are being spent appropriately. One way would be to incentivise savings by offering up to 50% of savings achieved by a manager as a bonus. This bonus would be payable a minimum of 1 year after the savings to account for any ‘savings’ that turn out to have failed to save money (eg firing long term staff but hiring agency staff at extra cost). There may even be an ‘anti-bonus’ where money is docked for savings that cost more…! Also 20 – if that’s the right number) implement a true national database of patient results/EDCs/etc so the Mancunian presenting in London, or Londoner presenting to a different part of London (for example) is not completely unknown to the new institution! What do you say? Are we efficient or what!? Couldn’t agree more with most if not all of the suggestions. There is a lot of common sense missing in the current administration of the NHS. I would be really interested in the appointment of a new independent governing body to replace DoH with a predominance of medically qualified members. This body should be independent of political influence and should be able to control the budget overall. The trouble is that no government will ever have the cohones to let go of the purse strings of £100 billion to non politicians even though they are unable to run the business competently. I would guesstimate that such a body could run the NHS with approximately one tenth of the current administration. Look at independent private hospitals administrative costs. Much less and probably more efficient. They have to be to survive. Very happy to contribute further if anyone interested. Thank you for your inspirational thoughts. If only…..